When it comes to reading material, there's no magazine we'd rather reach for than BUST. Originally conceived back in 1993 as a one-off zine by Debbie Stoller and Laurie Henzel, it was intended as a positive, provocative feminist alternative to mainstream magazines aimed at women. After receiving letters from readers asking for more issues, the pair left their jobs to focus full-time on BUST. Last week, our Wholesale Manager Kirsty headed off to New York. She couldn't resist a trip to the BUST office to meet the girls and take a peek inside their world... Co-founder Laurie shows us the first ever issue of BUST: "It's just xerox and staples!" How amazing is this front cover? This is the fourth issue and the team had only just begun using colour. We love this mood board - especially the cross stitch of Divine! 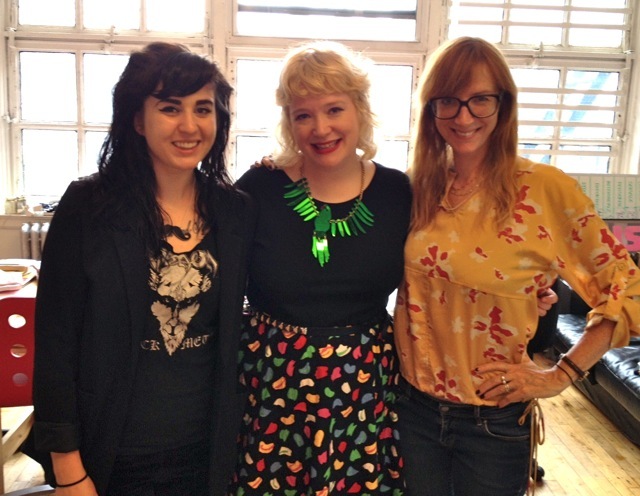 Kirsty (in our Large Parakeet Necklace) hangs out with Laurie and team member Bridget. 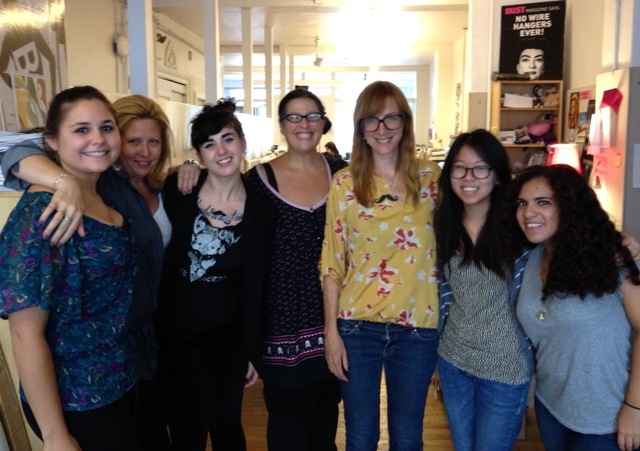 Say hello to half of the ladies behind BUST! They still work as an all-girl team and like Tatty Devine, are completely independent. You might also know BUST from its famed indie craft fair, the BUST Craftacular, which is held annually in New York and London and showcases the best of independent design. You can always find us at the Craftacular - once we attempted to break the record for the world's longest charm bracelet! Last year, BUST even launched its first ever book: The Bust DIY Guide to Life. We love their DIY guide to tie dying your tights - why not give it a try? 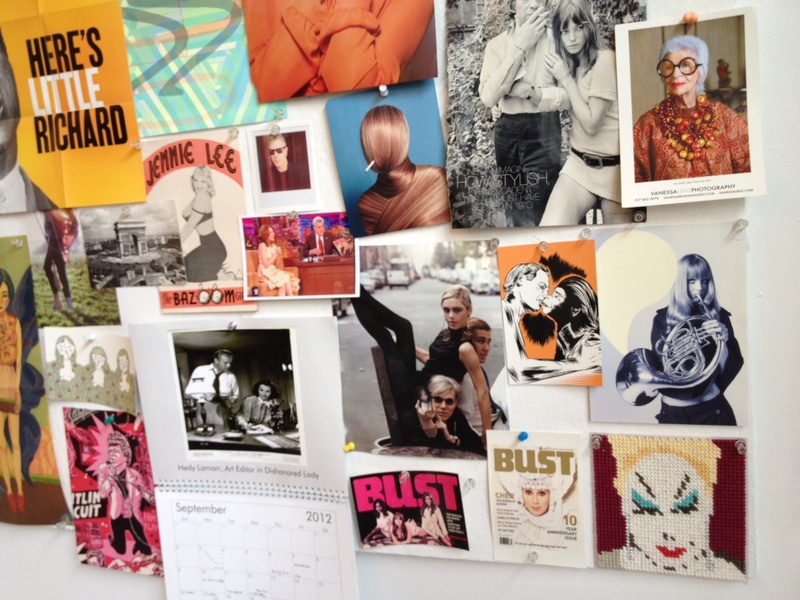 Thank you for letting us take a peek into your office, ladies of BUST. Come and visit us at our studio soon!